Design a vibrant, fun and exciting shop in shop for brands Nabi and bēm wireless in the London Selfridges’ Kids section on the 4th floor. The retail space must be premium and create creative cut through in a crowded high-end store environment. 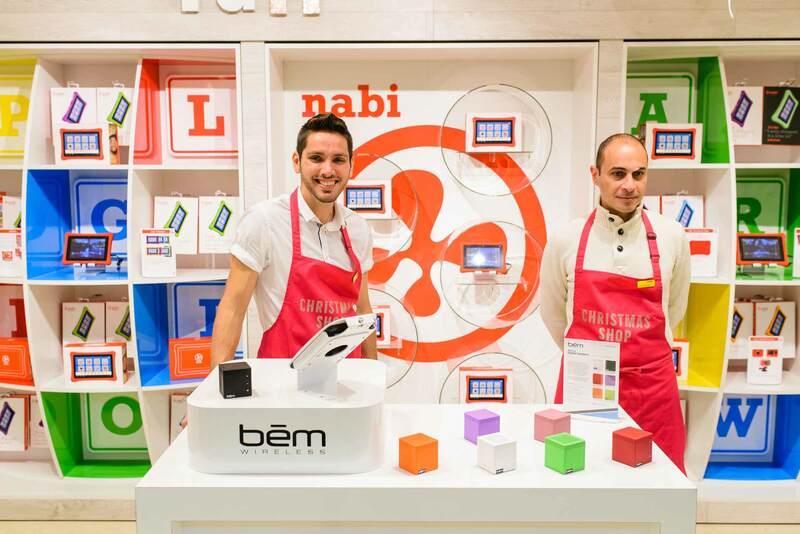 The Nabi brand’s primary colours were used in blocks for an eye-catching look and feel. We created units to segment and house each product along the shop in shop back wall unit. Using a 3D acrylic dye cut, we achieved a premium finish for both brands’ unique identities. 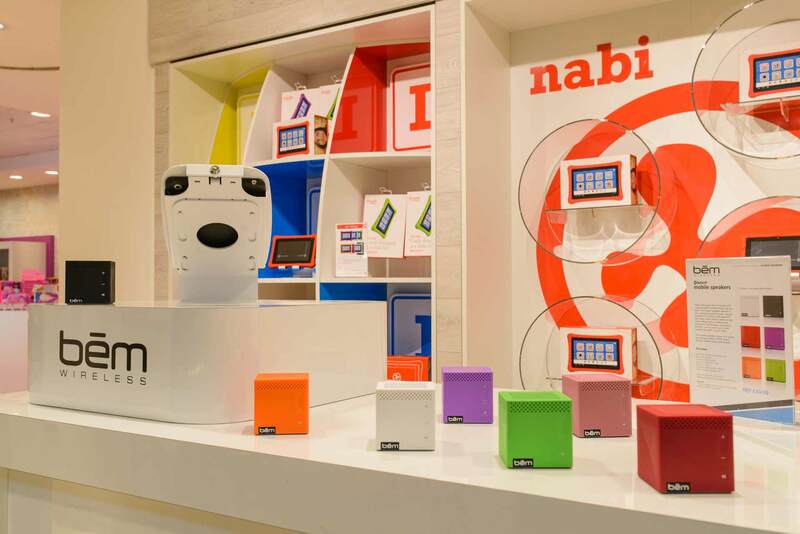 Our Nabi and bēm wireless shop in shops at Selfridges London will be live in-store from the 24th of October through to the 12th of January 2014. Our aim is to sell out of all featured products over the Christmas period. Watch this space! !